Watch the Jamis cyclocross team compete in this short video about cyclocross racing. if you have never seen one of these races, it is quite a spectacle. Check it out. Jamis is making some fantastic cyclocross bicycles, and with five models to choose from, there is definitely a price point for everyone. All Jamis CX bikes are equipped with disc brakes. The Nova Sport, the Jamis entry-level CX-model, is fast becoming one of our best selling models; it is perfect for cross-riding or gravel-riding, or for use as a burly, all-weather commuter. 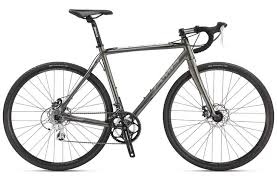 Since it only retails for $850, it is a very budget friendly choice for any cyclist. The Nova Sport is pictured here.